Anyone who knows me or has seen my huge untamed mop of hair from a distance can tell you that my hair needs help when it comes to straightening. Not only is it coarse, thick and wavy it's also prone to extreme frizziness and I tend to be a bit lazy when it comes to styling, especially straightening my hair. I'm probably what you would call a marketers dream, I have purchased almost every product that advertises a quick and easy way to straighten and de-frizz your hair - some have been moderately successful, most have not. About a week ago, the hair angels shone down on me when one of the staff at the salon across the street from my work (Art in Hair) came looking for someone to be a "hair model" as the person they had booked ended up sick. They just needed someone, anyone to let them straighten their hair! Everyone on staff looked straight to me and I tried to conceal my glee as I agreed to help. At one-thirty I dutifully headed over to see the guys and gals at Art of Hair and meet Teri, the Loreal Professionel representative that would be demonstrating a new hair straightening product to the staff. My hair was washed and a "quick" dry (no straightening or styling) brought out the true hugeness that is my hair (think Monica in the "hair syndrome" Friends episode), a smoothing cream and serum were applied and then the transformation took place. The Loreal Professionel Steampod was put to work and seriously within a half hour my hair was gorgeous - keep in mind I was a "model" so everyone had a turn practicing on my hair and talking about how I had the perfect hair for this. Probably not such a compliment but I was just so excited by what was happening with my hair I didn't care. The rep explained that the Steampod was like a clothes steamer that smoothed as it went (I asked if they had a device for wrinkles - sadly no) as opposed to the more traditional flat iron that uses heat and pressure to straighten. They can do much larger sections thereby cutting down the amount of time it takes to complete the style and the smoothing cream contains Pro-Keratin technology which will remain in the hair and help keep the frizz at bay for up to 2-3 washes. Repeated use of the product would lead to more improvement in the shape of my hair (always the skeptic I smiled politely and waited to see). As I said, I have spent plenty to try and get straight hair, even when they do it at the salon it still has that halo of fuzzy bits that they try to keep down with additional product but the Steampod was amazing - after the first sweep through my hair was straight, and when it was all done there were no fly-aways, my hair was SO soft and straight and as an added bonus it smelled really good too! 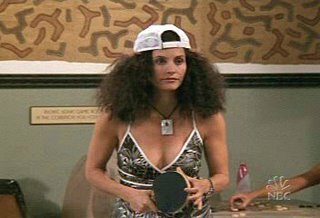 Now usually after I have my hair straightened I avoid any contact with it...no touching, no heat, no humidity and definitely no water. The first test was the fingers through the hair and it passed with flying colours, my hair remained straight and lovely. For the next 4 days my hair endured humidity, sleep, brushing and still looked almost as good as it did the moment it was done. I gotta tell you I'm sold on this product. Select salons like Art in Hair will have this technology as of November 1st and you can add it on to your normal cut or blowout for a nominal cost. If you have hair like mine this service is truly priceless. I seriously can not tell you how much I am in love with the results. Check out the before (and this is before wash/dry) and after photos. I had one friend who didn't recognize me and my mother actually paid me a compliment and told me that I should invest in the home model, it could change my life (thanks mom!) I am not sure when the home model will be available but it's coming and I will be first in line to buy one. Thank you hair angels for looking out for me! You are beautiful with or without straight hair. As another who gets the frizzies .. this looks like a super cool product!! Thanks for sharing!! I've always liked your crazy hair. I think it's awesome. But it also looks very pretty when it's straight. And now on an unrelated note: I wanted to share a Liebster Award with you. Thanks for sharing this post.This is really a nice best hair straightener having all feature in it. Thanks for sharing this post.This is the one of the best best hair straightener & in a budget.